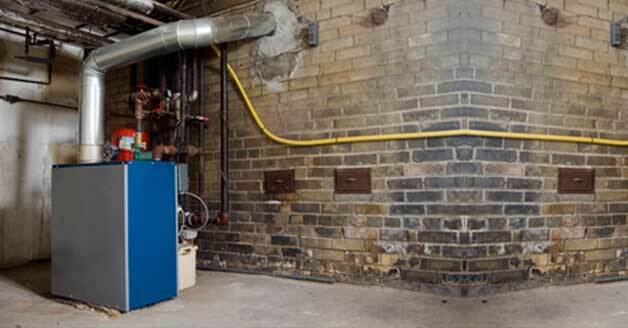 Is it time to repair your furnace? Call 281-704-3696 today for furnace repair and maintenance in The Woodlands that will keep your heating system going strong. Just explain what is happening when you make the call, and we will send a technician over to find a solution. Click here to access our current online specials and coupons. Most people don’t associate Texas with extra heating, but it can still get cool at night and having a functioning heating system is important. There are several ways your furnace can stop working efficiently, and having a quality service provider ready to come in and make the necessary repairs is crucial. Want to know what your neighbors throughout The Woodlands, TX think of our heating services? Click here to read their online reviews! The mechanical process that keeps your furnace running smoothly when the weather is cooler relies on many different parts working with one another to provide consistent heat. The worst case scenario is if your furnace breaks down completely, and you have no heat. However, there are usually signs before that happens, and if you pay attention and get help, you shouldn’t have to worry about your system shutting down entirely. Some of the signs you should watch for include poor heat circulation, cool air coming through your vents, unusual sounds and odors coming from your furnace as it is running, and elevated heating bills. If your furnace is close to the 15-year mark, it may be time for a replacement; otherwise, a professional repair should get it working properly again. The timing is what’s important, so call for help as soon as you notice anything strange. You may not need any work done, but at least you’ll have peace of mind knowing everything is fine. Most experts recommend having routine, annual maintenance performed on your furnace to keep it running as efficiently as possible. This typically includes having all of the working parts of the furnace cleaned and checked for wear and tear. Minor issues are fixed before they have a chance to get worse, and your heating system will run at maximum efficiency throughout the cooler part of the year. When you have regular maintenance, there will be fewer repair calls, lower heating costs, and your furnace will last longer, allowing you to delay the expense of getting a new system installed. There’s no reason for you to go without heat on a cool night. Just call Affordable American Air Conditioning & Heating at 281-704-3696 for service in The Woodlands, TX and surrounding areas and we will provide you with a quick solution at a great value.